Neuroscientists at the Sainsbury Wellcome Centre have identified a circuit in the primary visual cortex (V1) of the brain that integrates head- and visual-motion signals. The study, published today in Neuron, elucidates the mechanisms by which visual and vestibular inputs to the brain sum together to enable appropriate behavioural responses. "Since the 1950's we have been focused on understanding how the direction and velocity of sensory stimuli are represented at the level of the primary sensory cortex. 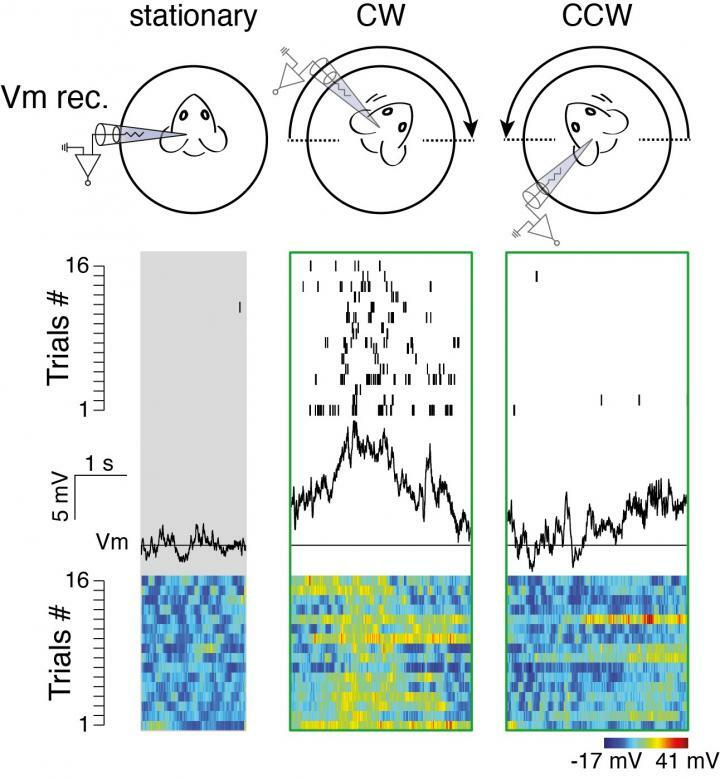 Here we show that this cortical process is context-dependent and involves 'internal' signals that report the motion status of the animal." "Perhaps the most surprising observation was the extent to which these signals were being represented across the local network. Despite exploring only a small fraction of vestibular stimulus space, almost all cells were found to respond," Professor Margrie remarked. Professor Margrie remarked in conclusion: "Given our previous anatomical findings and its role in spatial processing the RSP was our first candidate region. These new data raise the possibility that various kinds of spatial information might be relayed. In this sense, L6 might serve as a locus for context-dependent modulation of sensory signalling in the cortex." This research was supported by The UK Medical Research Council, Wellcome Trust and The Gatsby Charitable Foundation. Read the full paper in Neuron: 'A circuit for integration of head- and visual-motion signals in layer 6 of mouse primary visual cortex' By Mateo Velez-Fort et al.